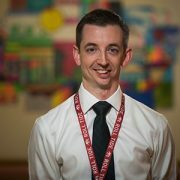 Steven Hardy, Ph.D., a pediatric psychologist in the Center for Cancer and Blood Disorders at Children’s National, has been awarded a K23 Mentored Patient-Oriented Research Career Development Award by the National Heart, Lung, and Blood Institute (NHLBI) in recognition of his progress toward a productive, independent clinical research career. National Institutes of Health (NIH) Mentored Career Development Awards are designed to provide early career investigators with the time and support needed to focus on research and develop new research capabilities that will propel them to lead innovative studies in the future. Many children with sickle cell disease (SCD) also have intellectual challenges which stem from two primary pathways – stroke and other disease-related central nervous system effects. While stroke is a major complication of SCD, the majority of children with SCD have no evidence of stroke but may still exhibit cognitive functioning challenges related to their disease. Such cognitive difficulties have practical implications for the 100,000 individuals in the SCD, as 20-40% of youth with SCD repeat a grade in school and fewer than half of adults with SCD are employed. Dr. Hardy’s project will focus on understanding the scope and trajectory of cognitive difficulties in children with SCD without evidence of stroke, as well as the mechanisms that precipitate disease-related cognitive decline. The study will characterize temporal relationships between biomarkers of SCD severity and changes in cognitive functioning to inform future development of risk stratification algorithms to predict cognitive decline. Armed with the ability to predict cognitive decline, families will have additional information to weigh when making decisions and providers will be better able to intervene and tailor treatment. 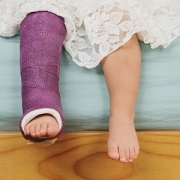 Each year, millions of children in the U.S. come to hospital emergency departments with fractures. 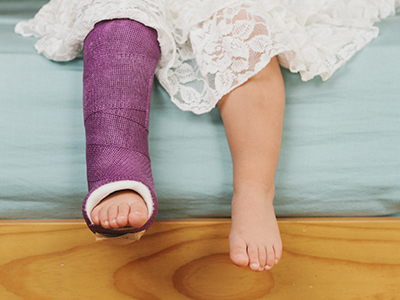 While broken bones are commonplace, the expertise to stabilize these injuries and cast them is not, says Children’s National Health System orthopedic surgeon Shannon Kelly, M.D. 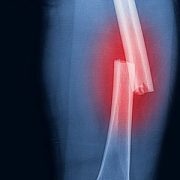 Most fractures are casted by an on-call resident without the assistance of an orthopedist, she explains. Whether that resident applies a cast successfully depends largely on how well he or she learned this skill as an intern. While most current training models have interns take calls with residents, picking up casting skills through hands-on experience from their more senior peers, they can also pick up mistakes – which get repeated once they’re caring for patients independently as residents themselves, Kelly says. Casting mistakes aren’t trivial, she adds. They can have serious consequences for patients. For example, a cast that’s not tight enough in the right places can leave bones vulnerable to shifting, a scenario that doctors call a loss in reduction, Kelly explains. 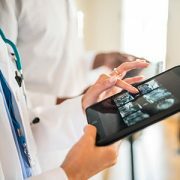 If bones aren’t in the right position to heal, doctors must reposition them either in the operating room, often exposing patients to general anesthesia, or through painful, in-office procedures. Conversely, casts that are too tight – particularly on a fresh fracture that’s prone to swelling – can damage tissues from loss of circulation. To avoid this latter problem, doctors often create a “bivalve” cast in which the two halves are split like a clamshell, leaving room for tissues to expand. But they must use extreme care when they cut open the cast with a saw to avoid cutting patients with the rotating blade or burning them with heat generated from its friction. “Each year, thousands of children are harmed from improper casting and must go through additional procedures to fix the damage done,” Kelly says. That’s why she and her colleagues are developing a better way to train interns before they start their orthopedics rotation. Starting this spring, the team will be directing a series of casting workshops to train interns on the proper casting technique. The workshops will take advantage of models that allow interns to practice without harming patients. Some of these models have simulated bones that show up on an X-ray, allowing participants to evaluate whether they achieved a good reduction once they’re finished. Other models are made of wax that melts if the heat of a cast saw becomes too intense and show nicks if the blade makes contact. Learning proper technique using this tool can help spare human patients painful burns and cuts, Kelly says. To broaden this effort beyond Children’s National, Kelly and her colleagues received a $1,000 microgrant from the Pediatric Orthopaedic Society of North America to create videos based on material from these workshops. These videos will help trainees at medical institutions across the country learn the same pivotal casting skills. 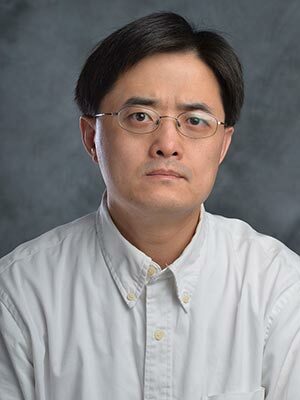 Yuan Zhu, Ph.D., and other experts completed new research findings evaluating the effects of manipulating the growth-promoting signaling pathways in brain tumors associated with adults and children. This month, experts at Children’s National Health System made great strides in brain tumor research, specifically in gliomas, glioblastomas and medulloblastomas. 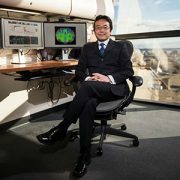 Led by Yuan Zhu, Ph.D., the scientific director and Gilbert Endowed Professor of the Gilbert Family Neurofibromatosis Institute and Center for Cancer and Immunology Research at Children’s National, the team completed new research findings evaluating the effects of manipulating the growth-promoting signaling pathways in brain tumors associated with adults and children. 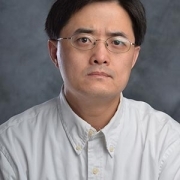 Dr. Zhu’s research was recently published in Cell Reports and he was also awarded a U.S. Department of Defense (DoD) grant to gain a better understanding of how low-grade gliomas form. Together, this work moves the needle on developing more effective treatments for these debilitating and life-threatening tumors. In his recently published paper, Dr. Zhu and his colleagues, including Drs. Seckin Akgul and Yinghua Li, studied glioblastomas, the most common brain tumor in adults, and medulloblastomas, the most common brain tumor found in children, in genetically engineered experimental models. Dr. Zhu found that when they removed the p53 gene (the most commonly mutated tumor suppressor gene in human cancers) in the experimental model’s brain, most developed malignant gliomas and glioblastomas, while Sonic Hedgehog (SHH)-subtype (SHH) medulloblastomas were also observed. They further suppressed the Rictor/mTorc2 molecular pathway that is known in the regulation of tumor growth. This action greatly reduced the incidence of malignant gliomas and extended the survival of the models, validating the concept that Rictor/mTorc2 could be a viable drug target for this lethal brain cancer in adults. The study also found that the same Rictor/mTorc2 molecular pathway serves the opposite function in SHH medulloblastoma formation, acting as a tumor suppressor. Findings suggest that if the same drug treatment is used for treating SHH medulloblastoma in children, it could potentially have an adverse effect and promote growth of the tumors. Ultimately, the study demonstrates that Rictor/mTORC2 has opposing functions in glioblastomas in adults and SHH medulloblastomas in children. While drug therapies targeting Rictor/mTORC2 may be successful in adults, the findings reveal the risks of treating children with pediatric brain tumors when using the same therapies. Continuing the study of brain tumors, Dr. Zhu recently received a $575,000 grant from DoD to research benign gliomas, with the hope of gaining a greater understanding of how the tumors form. Low-grade gliomas, or benign brain tumors, are the most common brain tumors in children. While not lethal like their high-grade counterpart, these tumors can lead to significant neurological defects, permanently impacting a child’s quality of life. Most commonly, the tumor can impair vision, often leading to blindness. Since the tumors only occur in children under the age of eight, Dr. Zhu believes they are linked to neural stem or progenitor cells that exist in the optic nerve only during development, or when children are under eight-years-old. 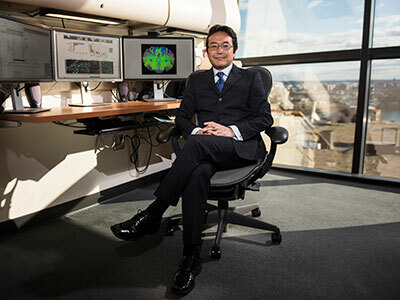 To test if his hypothesis is correct, Dr. Zhu will develop a preclinical model that mimics human brain tumors to study the development of the optic nerve. If his theory proves correct, Dr. Zhu’s long-term goal is to develop a strategy that prevents the tumor formation from ever occurring, ultimately preventing vision loss in children. The grant begins in July and will run for three years. Three leaders from Children’s National Health System are among the investigators of a new FDA-funded program created to launch a global clinical trials network. The initial $1 million grant from the Food and Drug Administration (FDA) establishes a network among the Institute for Advanced Clinical Trials for Children (I-ACT for Children), the National Capital Consortium for Pediatric Device Innovation (NCC-PDI) (affiliated with Children’s National), PEDSnet, the James M. Anderson Center for Health Systems Excellence and the Critical Path Institute, to address the unmet medical needs of children by improving quality and efficiency in developing innovative pediatric drugs and devices. Along with the fiscal 2017 funds, there is a potential for $1 million in funding each year for an additional four years to I-ACT for Children, contingent on annual appropriations and the availability of funding. I-ACT for Children is a new independent, nonprofit organization that works to improve the planning and completion of pediatric clinical trials. 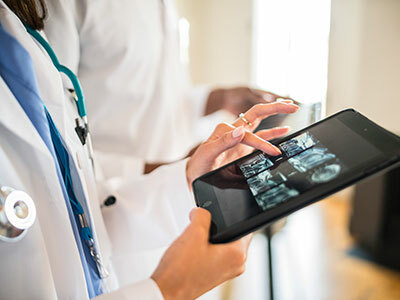 PEDSnet and the Anderson Center will serve as the network’s data and learning core, while the Critical Path Institute will serve as the regulatory science core and NCC-PDI will serve as the medical device core. From Children’s National, the investigators include: Peter Kim, M.D., Ph.D., vice president of the Sheikh Zayed Institute for Pediatric Surgical Innovation; Kolaleh Eskandanian, Ph.D., executive director of the Sheikh Zayed Institute and NCC-PDI and Johannes van den Anker, M.D., Ph.D., division chief of Clinical Pharmacology and vice chair of Experimental Therapeutics. She explains that children have medical device needs that are considerably different from adults. Designing devices for children requires considerations such as growth and development, anatomical and physiological differences. Often, the lack of available devices for children forces clinicians to use an adult device off-label or to improvise. Off-label use may be the only option, but such use can bring risks of serious adverse events that could be avoided if there were more FDA–approved pediatric devices. “Thanks to partnership with I-ACT we will be able to address the pressing need to improve clinical trials and post-market monitoring of pediatric devices,” says Eskandanian. Leading the network as principal investigator is Edward Connor, M.D., president of I-ACT for Children and an emeritus professor of Pediatrics, Microbiology, Immunology, and Tropical Medicine at George Washington University School of Medicine and Children’s National. Work has been initiated to integrate network components and engage public and private shareholders. Next steps include selecting priority projects for implementation in 2018 and beyond, and scaling the network in North America and abroad. Funding for this work was made possible, in part, by the Food and Drug Administration through grant 1 U18 FD 006297. Views expressed in written materials or publications and by speakers and moderators do not necessarily reflect the official policies of the Department of Health and Human Services; nor does any mention of trade names, commercial practices, or organization imply endorsement by the United States Government. While there are plenty of options for treating pediatric femoral diaphyseal fractures, doctors don’t have a lot of specific guidance on the optimal regimen for each patient age, fracture location and fracture pattern. Pediatric femoral diaphyseal fractures are some of the most common types of long bone fractures. There are many effective ways to treat these injuries, but unfortunately this assortment of options also leads to variations in cost and clinical outcome for patients and makes it difficult to develop clinical trials exploring the treatment of pediatric femur fractures. To address this issue, a Children’s National research team led by Matthew Oetgen, M.D., M.B.A., Division Chief of Orthopaedic Surgery and Sports Medicine, received a $30,000 grant from the Pediatric Orthopaedic Society of North America (POSNA) to design a multi-centered, randomized, controlled clinical trial for the treatment of pediatric diaphyseal femur fractures. The team’s ultimate goal is to submit the resulting trial design to an extramural agency for study funding. While there are plenty of options for treating pediatric femoral diaphyseal fractures, doctors don’t have a lot of specific guidance on the optimal regimen for each patient age, fracture location and fracture pattern. As a result, many treatment decisions are based on surgeon preference, regional variation in care and previous training or experience. Another issue that arises in the treatment of diaphyseal femur fractures is the impact on the patient’s family. 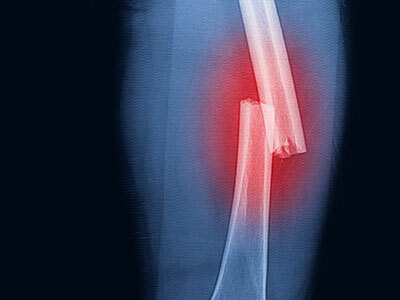 In general, femur fractures are caused by significant trauma that affects both the patient and the family members. On top of this, families are faced with issues such as extended hospitalization, the need for wheelchairs and walkers, pain control, missed school and secondary surgeries for removal of implants. Often, families are left to their own devices to resolve these issues, many of which are more impactful than the injury itself. Dr. Oetgen believes that a well-planned and well-structured randomized clinical trial guided by patient and family concerns as well as expert surgical opinion has the potential to improve both treatment and care of femoral diaphyseal fracture patients. Conduct an extensive literature review on the impact and treatment of pediatric femur fractures. Survey a diverse group of pediatric orthopaedic surgeons to establish areas of agreement, opposition and equipoise on the surgical treatment of pediatric femur fractures, and use that information to form a consensus opinion on the optimal design of the clinical trial. Solicit input from non-physician stakeholders (families, parents, payers, state Medicaid representatives, patient advocacy groups, professional organizations) on the important aspects of care in pediatric femur fracture treatment. The team expects to have the study design competed by February 2019. An innovative Children’s National Health System project aimed at improving the only proven cure for sickle cell disease – hematopoietic cell transplantation – will receive more than $550,000 in funding from the Doris Duke Charitable Foundation’s inaugural Sickle Cell Disease/Advancing Cures Awards, which provides grants to advance curative approaches for sickle cell disease. 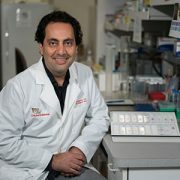 The study, a three-year, multi-center trial that will study a low intensity, chemotherapy-free transplantation approach to cure children with sickle cell disease using a matched related donor, is led by Allistair Abraham, M.D., blood and marrow transplantation specialist, and Robert Nickel, M.D., hematologist, and is one of seven projects receiving approximately $6 million total through the awards. While transplantation using a matched sibling donor today has a high cure rate (>90 percent) for sickle cell disease, traditional transplant approaches have many risks and side effects in both the short and long term. 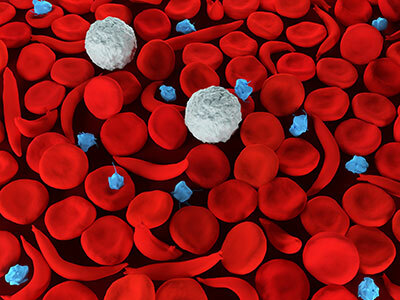 The study will examine if a chemotherapy-free approach can lead to a successful transplant without resulting in graft-versus-host disease (GVHD). GVHD is one of the most challenging complications of a transplant, in which the transplant immune cells attack the patient’s body. The researchers anticipate that this new transplant approach will be so well tolerated that patients’ quality of life will be maintained and improved throughout the process, with most of the care administered in a clinic setting. Matthew Hsieh, M.D., who helped pioneer this work at the National Institute of Health in adults, and Greg Guilcher, M.D., who has used this transplant approach in children, are key collaborators on the project. The study is projected to begin in December 2018 and continue for three years. The Comprehensive Sickle Cell Disease Program at Children’s National is among the largest in the country, treating more than 1,400 children and young adults with all types of sickle cell disease. Children’s National also offers the largest, most comprehensive blood disorders team in the Washington, D.C., area. 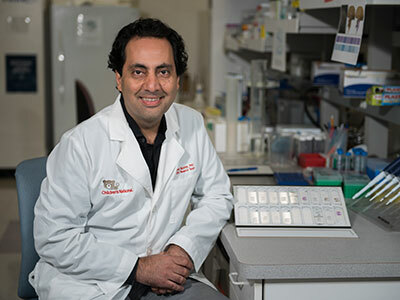 “This is a tremendous opportunity for children and families whose lives have been forever altered by pediatric cancers,” says Javad Nazarian, Ph.D., M.S.C., principal investigator in the Center for Genetic Medicine Research and scientific director of the Brain Tumor Institute at Children’s National. Speeding research into pediatric cancers and other diseases relies not only on collecting good data, but making them accessible to research teams around the world to analyze and build on. Both efforts take time, hard work and a significant amount of financial resources – the latter which can often be difficult to attain. In a move that could considerably advance the field of pediatric cancer, the National Institutes of Health (NIH), a body that funds biomedical research in the United States, recently awarded a public-private research collective that includes Children’s National Health System up to $14.8 million to launch a data resource center for cancer researchers around the world in order to accelerate the discovery of novel treatments for childhood tumors. Contingent on available funds, five years of funding will be provided by the NIH Common Fund Gabriella Miller Kids First Pediatric Research Program, named after Gabriella Miller, a 10-year-old child treated at Children’s National. As principal investigators, researchers at Children’s Hospital of Philadelphia will lead the joint effort to build out the “Kids First” Data Resource Center. Children’s National in Washington, D.C., will spearhead specific projects, including the Open DIPG project, and as project ambassador will cultivate additional partnerships with public and private foundations and related research consortia to expand a growing trove of data about pediatric cancers and birth defects. Today’s NIH grant builds on previous funding that Congress provided to the NIH Common Fund to underwrite research into structural birth defects and pediatric cancers. 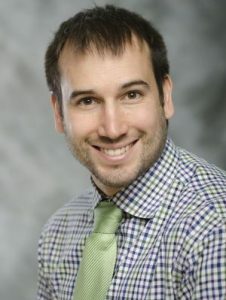 In the first phase, so-called X01 grantees—including Eric Vilain, M.D., Ph.D., newly named director of the Center for Genetic Medicine Research at Children’s National—received funding to sequence genetic data from thousands of patients and families affected by childhood cancer and structural birth defects. This new phase of funding is aimed at opening access to those genetic sequences to a broader group of investigators around the globe by making hard-to-access data easily available on the cloud. The first project funded will be Open DIPG, run by Nazarian, a single disease prototype demonstrating how the new data resource center would work for multiple ailments. DIPG stands for diffuse intrinsic pontine glioma, aggressive pediatric brain tumors that defy treatment and are almost always fatal. Just as crowd sourcing can unleash the collective brainpower of a large group to untangle a problem swiftly, open data sharing could accomplish the same for childhood cancers, including DIPG. In addition to teasing out molecular alterations responsible for making such cancers particularly lethal, pooling data that now sits in silos could help to identify beneficial mutations that allow some children to survive months or years longer than others. Nazarian predicts some of the early steps for the research consortium will be deciding nuts-and-bolts questions faced by such a start-up venture, such as the best methods to provide data access, corralling the resources needed to store massive amounts of data, and providing data access and cross correlation. The FSH Society has awarded the FSH Society Grant FSHS-82016-4 to Children’s National researcher Yi-Wen Chen, D.M.V., Ph.D., to study facioscapulohumeral muscular dystrophy (FSHD). FSHD is a complex genetic disorder caused by aberrantly expressed double homeobox protein 4 (DUX4) in patients’ cells that ultimately leads to the weakening of skeletal muscles often beginning in teenage years or early adulthood. 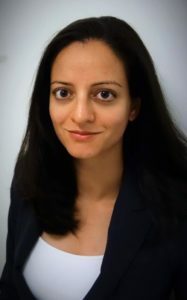 Her research will focus on the next phases of developing LNA-based therapy for patients with FSHD through an in vivo study in a preclinical model. “We have been designing compounds to inject into a preclinical model of FSHD in order to first reduce the DUX4 in the muscle and then identify the compounds that work best,” says Chen. Researchers will inject varying doses of the compound directly into the muscle for localized delivery and under the skin to reach the entire body for systemic delivery. Currently there is no treatment for FSHD. After 15 years spent researching the disease, Chen hopes to test the efficacy of the compounds in order to identify a treatment. Patrick Hanley, Ph.D., will receive the award at the ASBMT national meeting in late February 2017. 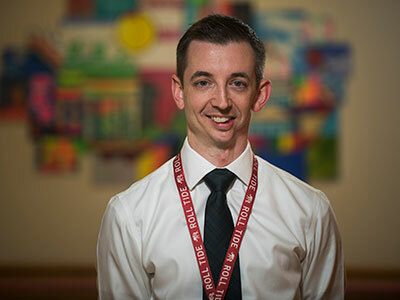 The American Society of Blood and Marrow Transplantation and the National Marrow Donor Program have awarded the Amy Strelzer Manasevit Research Scholar grant award to Children’s National researcher Patrick J. Hanley. Hanley, Ph.D., Laboratory Facility Director, Cellular Therapy and Stem Cell Processing and Assistant Professor of Pediatrics at The George Washington University, will receive the award at ASBMT national meeting in late February 2017. It is the first time a Children’s National staff member has been awarded this grant, which is for $240,000 over three years. The Amy research program is one of the largest and most coveted research grants in the field of marrow and cord blood transplantation, according to the program’s website. “The program develops the next generation of physician-scientists by supporting and encouraging the discovery of new ways to treat and prevent post-transplant complications,” the program reports. Hanley plans to use the grant to treat patients on their upcoming clinical trial, “CHEERS”, which is for patients receiving a cord blood transplant. These patients will receive immune cells that were expanded from cord blood, called T cells, that have been trained in the lab to target viruses – a major complication after transplant. “This grant enables us to evaluate whether cord blood T cells that recognize viruses like CMV and now BK virus can offer protection to patients who need it most,” Hanley says. Learn more about the grant program. Two Children’s National Health System research scientists, Marshall Hogarth, Ph.D. and James Novak, Ph.D., have received Post-Doctoral Development Grants from the Muscular Dystrophy Association (MDA) as part of funding awarded to young, rising researchers who are poised to become independent investigators. Over the next three years, Hogarth and Novak will be allotted $180,000 each to underwrite their individual research projects. Hogarth’s research is focused on limb-girdle muscular dystrophy (LGMD), a disease which presents as muscle weakness when patients are in their late teens before rapidly progressing to severe debilitation. The MDA grant will allow Hogarth to continue his research investigating the replacement of muscle with fatty tissue and the role this plays in the late onset and subsequent progression of LGMD in patients. Novak focuses mainly on researching Duchenne Muscular Dystrophy (DMD), a severely debilitating form of MD, that leads to progressive muscle weakness and respiratory and cardiac failure. Currently, the only Food and Drug Administration (FDA) approved treatment for DMD is exon-skipping. The MDA grant will support Novak’s study of the mechanisms that regulate the delivery of exon-skipping drugs in muscle, in order to identify new therapeutic targets and improve drug efficacy for patients with DMD. While Hogarth and Novak focus on different aspects of neuromuscular disease, both look forward to making significant contributions that lead to overall improvements in the treatment of patients impacted by muscular dystrophy. The Interventional Cardiac Magnetic Resonance (ICMR) Program at Children’s National is actively developing newer and safer ways to perform cardiac procedures on young patients, with some of the world’s leading experts in cardiac catheterization and imaging. Elena Grant, M.D., a former pediatric cardiology fellow at Children’s National, is the newest member to join the team that pioneered real-time MRI-guided radiation-free cardiac catheterization for children. In addition to clinical work as a Children’s National Interventional Cardiologist, Dr. Grant will perform preclinical research at the National Institutes of Health to develop new procedures, techniques, and devices that can be translated to clinical practice to treat children and adults with congenital heart disease. Dr. Grant specializes in interventional cardiology. She received her medical degree from the University of Dundee Medical School in Dundee, Scotland, followed by Foundation Training in Edinburgh, Scotland. 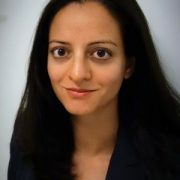 She completed her pediatric residency at Massachusetts General Hospital, her Pediatric Cardiology fellowship at Children’s National, and she recently finished an advanced fellowship in interventional pediatric cardiology at Children’s Healthcare of Atlanta and Emory University. Children’s National is at the forefront of this exciting new field and is currently the only institution in the United States to perform radiation-free MRI-guided cardiac catheterization procedures in children. ICMR is a partnership with the National Institutes of Health that brings together researchers, clinicians, engineers, and physicists to provide radiation-free, less invasive, and more precise diagnostics and treatment options for pediatric patients and adults with congenital heart disease. The ICMR approach to heart catheterization uses real-time MRI, instead of X-ray, in pediatric research subjects undergoing medically necessary heart catheterization. This research study is intended as a step toward routine MRI-guided catheterization in children, which attempts to avoid the hazards of ionizing radiation (X-ray). In 2015, after working with NIH to explore how interventional cardiovascular MRI could be integrated into pediatric practices, the ICMR team, including Dr. Grant, Russell Cross, M.D., Joshua Kanter, M.D., and Laura Olivieri, M.D., performed the first radiation-free MRI-guided right heart catheterization on a 14-year-old girl at Children’s National. Since then, nearly 50 such procedures have been successfully completed, and the team is working to broaden the age range and cardiac disease complexity of patients who can undergo the procedure. About 1 percent of newborns are born with a heart condition, and the team at Children’s performs more than 450 X-ray guided cardiac catheterizations and over 500 cardiac MRI scans per year.